The Lexington One Irvine community offers many amenities that include green parks, swimming pools, spa, picnic area, tennis court, barbecue area and play grounds. It is a short driving distance to nearby Irvine Company shopping center filled with great restaurants, stores and groceries. All the schools fall within the award wining Irvine Unified School District which include Canyonwood Elementary School, Sierra Vista Middle School and Northwood High School. 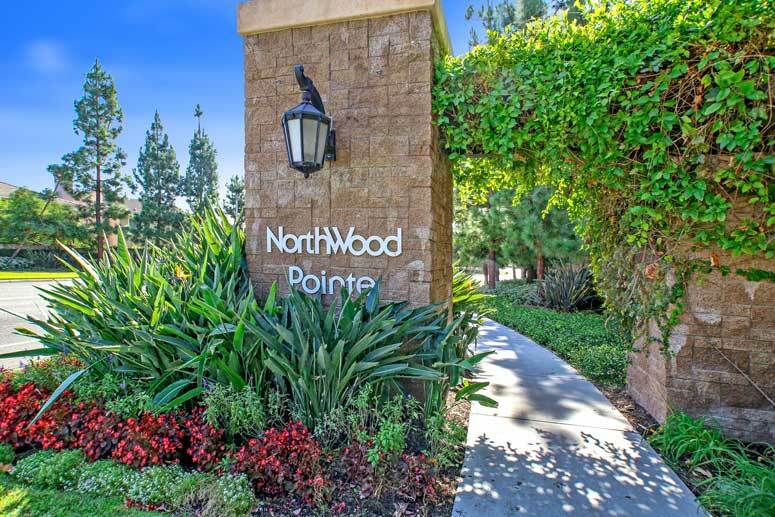 The Master homeowners associaiton is Northwood Pointe Maintenance Association who is managed by Keystone Pacific Property Management located at 16845 Von Karman Avenue Suite 200 Irvine, California 92606. They can be reached at 949-833-2600. Homeowners association dues are approximately $65.00 per month. Sub-association is Lexington Maintenance Association who is managed by Optimum Property Management located at 17731 Irvine Boulevard Suite 212 Tustin California 92780. They can be reached at 714-508-9070. Sub-association dues are approximately $35.00 per month. The eleven floor plans are as following below. Plan ONE - 3 Bedrooms, 2.5 Baths, 1,680 Square Feet of living space with two car garage. Plan ONE A - 4 Bedrooms, 3 Baths, 2,105 Square Feet of living space with two car garage. Plan ONE B - 5 Bedrooms, 4 Baths, 2,360 Square Feet of living space with two car garage. Plan ONE C - 4 Bedrooms, 4 Baths, 2,360 Square Feet of living space with two car garage. Plan TWO A - 4 Bedrooms, 3 Baths, 2,188 Square Feet of living space with three car garage. Plan TWO B - 5 Bedrooms, 3 Baths, 2,388 Square Feet of living space with two car garage. Plan TWO C - 6 Bedrooms, 4 Baths, 2,630 Square Feet of living space with two car garage. Plan THREE - 3 Bedrooms, 3 Baths, 2,326 Square Feet of living space with three car garage. Plan THREE A - 4 Bedrooms, 3 Baths, 2,326 Square Feet of living space with three car garage. Plan THREE B - 5 Bedrooms, 3 Baths, 2,526 Square Feet of living space with three car garage. Plan THREE C - 6 Bedrooms, 4 Baths, 2,804 Square Feet of living space with two car garage. So if interested to buy, sell or lease in Lexington I Homes at Northwood Pointe communities then, please, have a look around, and contact us with any questions you might have about the market or our services. No question is too mundane - we want to help!